There is no better way to celebrate National Day than to uphold the Singaporean culture with pride and to demonstrate the Singaporean spirit to its fullest during the month of August. For most companies in Singapore, should the marketing team be proactive enough, August will be a good month to launch some National Day related campaigns. As Singapore approaches her 53rd birthday (SG53) in a few days time, Singaporeans should also demonstrate our love for Singapore by embracing two character traits that define us – our “KIASU-ness” and love for food. This article will equip one with the necessary information to do so, by providing you with an extensive list of National Day (NDP) food-related deals to grow fat this August. 1-for-1 for Nasi Lemak and Pulut Hitam in Love It size. $2 Nasi Lemak Ice Cream at Love It size. $2 available only on 9 August 2018 for first 53 Mastercard® Cardholders at every outlet in Singapore. Buy any BlackBall desserts and top up $2 for any of the drinks. 3 bottles of Tiger White at $5.30 Nett. Limited to 9 bottles per person. NDP Set packages at $68+ and $128+ respectively. On a side note, one of Seedly Personal Finance Community member, Yu-En did a breakdown of the package and was shocked that the package is actually more expensive! Makes us wonder what they are up to. Comes with a bowl of Chilli Crab Tendon, a choice of side and a canned drink. 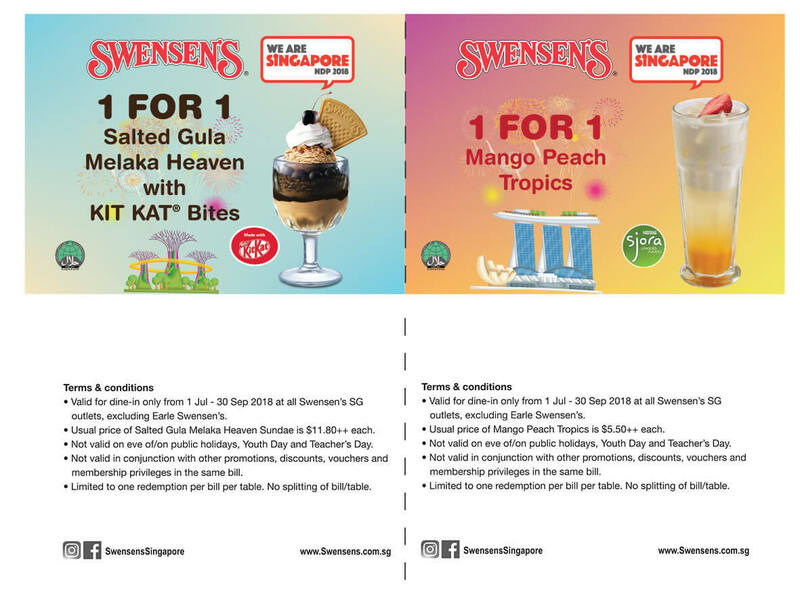 Valid till 31 August 2018. Limited to 2 sets per person. Valid from 6 to 9 August 2018, 3pm to 6pm. 18% off all Haagen-Dazs Ice Cream drinks. Valid from 6 to 9 August 2018. With National Day round the corner, we highly recommend that you make use of some of these NDP 2018 deals soon! We will also constantly be updating this list, hence feel free to reach out if you know of any deals around! Also, check out our Mother of All Articles to kick-start your personal finance journey today!